Welcome to 5.3's website. My name is Ms. Williams and I teach Grade 5 and 6 as well as Physical Education at SMS. I love hanging out at the river with my dog Blix, a Nova Scotia Duck Toller, and in my spare time my husband and I enjoy camping, hiking and cycling. Welcome to a brand new school year! This is an exciting time as your child embarks upon new adventures in the world of learning. This is a year of important transitions. Your child will be encouraged to work more independently as he/she develops a greater sense of responsibility. 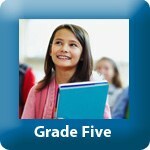 Over the course of the school year, your child will improve their language skills and learn about a variety of subjects. I hope to make your child’s learning experience a fun and exciting one and establish a lasting love of learning. It is extremely important that your child bring the agenda to school every day. 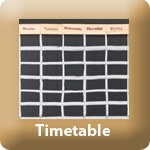 It will be used daily as an organizational tool and as a form of communication between home and school. Please help your child by signing it on a nightly basis. The homework load will vary throughout the year. There will be a variety of projects, math work, weekly spelling words, and bi-weekly Language Arts presentations to prepare. If your child has unfinished work from class, it may be sent home to complete. Soon, I will be posting an online newsletter. 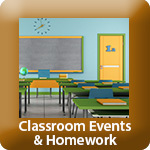 The class newsletter will inform you of the events that are ongoing in our class, such as what types of projects have started or what we’ve been focusing on. It will also include any important upcoming information. 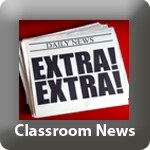 The newsletter is available through the above link and is updated weekly. I look forward to working with you and your child in Grade Fiveand Six! I will be teaching your child Language Arts, Math, Social Studies and Health.